If you own a student loan, and are paying more than you earn, an income-based repayment (IBR) program is your solution. 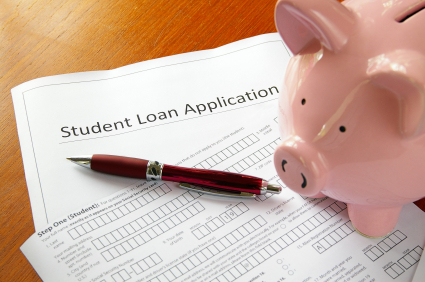 Federal student loan borrowers who are facing financial troubles may be eligible for the IBR program; which helps eligible candidates to limit their payments at 15% of their discretionary income. The main qualifying factor for this program is a partial financial hardship ­­– which means that the monthly amount to be paid based on your IBR-eligible loans under a 10-year Standard Repayment Plan should be higher than the monthly amount you would have to pay under the IBR program. Once you qualify, your monthly dues may vary depending on your income and the size of your family. Also, once you have qualified for the program, you can continue to repay your loans even if you no longer have a partial financial hardship. On one hand, you can continue to be on the program until you pay off your loan or decide to quit the program while on the other hand, if you do not repay the loan for twenty-five years, the federal government may provide a loan forgiveness, discharging the remaining amount. Keep your lender informed about your current income information before the annual anniversary of your enrollment in the program. This will help them determine your payment amount for the next year. Missing your deadline can result in increase your payment, not taking into account your income. Currently, lenders aren’t required to notify borrowers about this important annual deadline, so you are on your own. It has been reported that the paperwork can take up to three months and such processing delays can also trigger an increase in payments. What role does 4506-T play in IBR? When applying for the IBR program, you need to submit a copy of your most recent tax return. If you don’t have a copy of your return, you can use the IRS Form 4506-t, which gives the federal government permission to release tax transcript from your returns for the past three tax years. For details on how to fill the 4506-T form, check our blog. This entry was posted in Student Loans and tagged 10 year standard repayment, 4506-T form for past tax transcripts, IBR program, student loan payment. Bookmark the permalink.